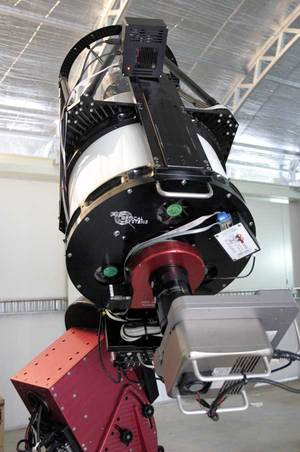 ​Telescope System Design and Hosting at iTelescope Siding Spring. 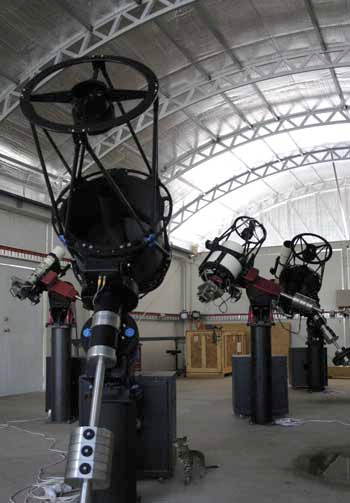 One of the key advantages of remote astronomy is that you do not have to worry about the maintenance of the equipment. We like to carry that over into our hosting and affiliate programs by offering a complete "Turn Key" solution. So, what do we mean by Complete "Turn Key" Solution? It means that we take care of all the logistics required to get a remote telescope online, and then hand you a ready to use system. How do we do this, you may ask? Simple, we take all of the difficult and time consuming problems out of your hands. Firstly we work very closely with you to ensure that we know precisely what type of system will work best for your needs. Next, we gather all of the necessary pricing information and return to you a full costing estimate and after further discussion, a quote and contract. Once signed up, we then order every part of your telescope system and ensure that it is shipped directly to Siding Spring. Finally we will assemble, install your system, test and integrate all of it's software. Then we hand you the "Keys" to your very own remote telescope.